Being something of a true crime fan and the critic who reviewed “Mommy Dead and Dearest,” I went into Hulu’s “The Act” with a great deal of background on the story that would unfold. This new anthology series promises to feature a different true crime story in every installment, and the first season focuses on the incredibly disturbing saga of Gypsy Rose and Dee Dee Blanchard. The former became something of a viral phenomenon—the sweet girl who was laden with several diseases and the brain development of a seven-year-old. People fell in love with Gypsy Rose, and they donated to send her on trips and even build her and her mother, Dee Dee, a home. And then Dee Dee was found murdered and her secrets were revealed. The Blanchard story became one of the most famous Munchausen by Proxy stories of all time, and it’s no wonder that it would eventually get the prestige limited series treatment. And yet I asked myself, what more could possibly be gleaned from hearing this disturbing story again? While I suspect that “The Act” will play better for those unfamiliar with the details of its true story, the best thing I can say about it is that there’s value even for people like me who knew the disturbing tale. Most of that comes from the nuance of the performances and direction from people like Laure de Clermont-Tonnerre (“The Mustang”), who doesn’t force the insane details of this story like other filmmakers might have been tempted to do. “The Act” rarely feels sensational—focused more on character than controversy—and Arquette and King are balanced by a very talented ensemble that includes Chloe Sevigny, Annasophia Robb, Dean Norris, and Calum Worthy. And it’s also great to see Joey King match her work. King clearly studied Gypsy’s childlike cadence and physical behavior, but this is more than an impersonation. It’s interesting how much of “The Act” is told from Gypsy’s perspective—the story of a child learning how much she has been abused is inherently stronger than the vantage point of the abuser. 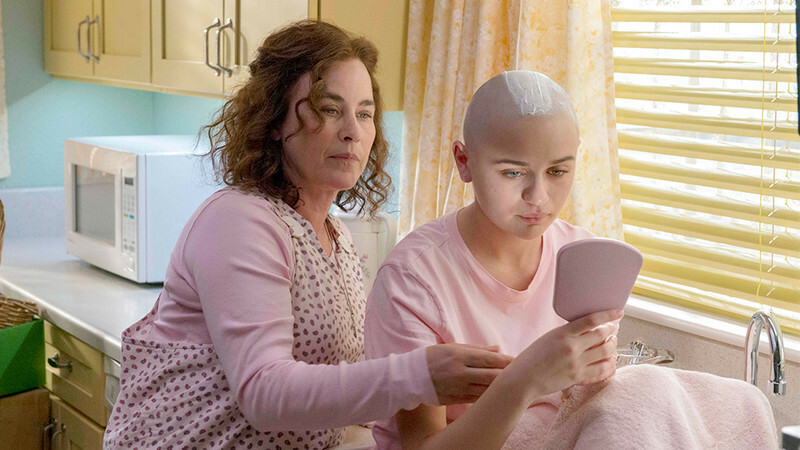 “The Act” does occasionally suffer from the common problem of prestige TV in the ‘10s in that one can’t help but think the story could have worked in half the running time. Everything nowadays is so stretched out because of the false belief that a limited series needs a certain amount of episodes to be taken seriously. Having said that, the expanded running time of this particular one allows the cast and creators to dig deeper into a story that most people think they know and find the humanity in two people who have been largely reduced to headlines. It’s hard to imagine the life of someone who poisons their child or the life of someone who discovers they’ve been abused by the one person they trusted most. And yet “The Act” takes us into the Blanchard home in ways that documentaries and true crime podcasts couldn’t. It’s a reminder that even when you think you know a great deal about true story, there can be value in retelling it. First four episodes screened for review.